When it comes to beauty rules, the one I simply cannot break, is taking off my makeup every night. I can’t remember the last time I woke up with mascara smeared under my eyes, and it’s a habit I’m glad I keep. Obviously late nights mean I use a cleanser which erases every scrap of makeup in one go, but on evenings where I have a little more time to enjoy the process, I tend to use a couple more products than normal. 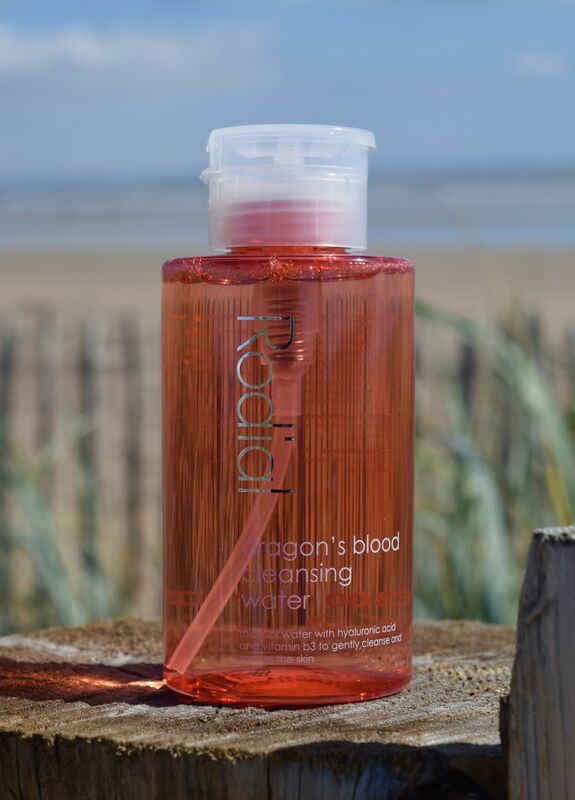 I start off with an eye makeup remover, then use a foaming cleanser, and to finish everything off, I end things with a cleansing water, which is where Rodial’s Dragon’s Blood Cleansing Water comes in. Packaged in my absolute favourite packaging for cleansing waters – you simply need to push a cotton pad on the pump nozzle for the perfect dose. It keeps everything clean and uncomplicated, and it looks seriously chic too! The transparent bottle lets you see when you need to order a top up as well as looking gorgeous. The cleansing water itself is pretty special too! Although it sounds like something out of Game of Thrones, Dragon’s Blood is actually aa plant resin which ensures skin protection against environmental aggressors – perfect if you’re a city slicker! 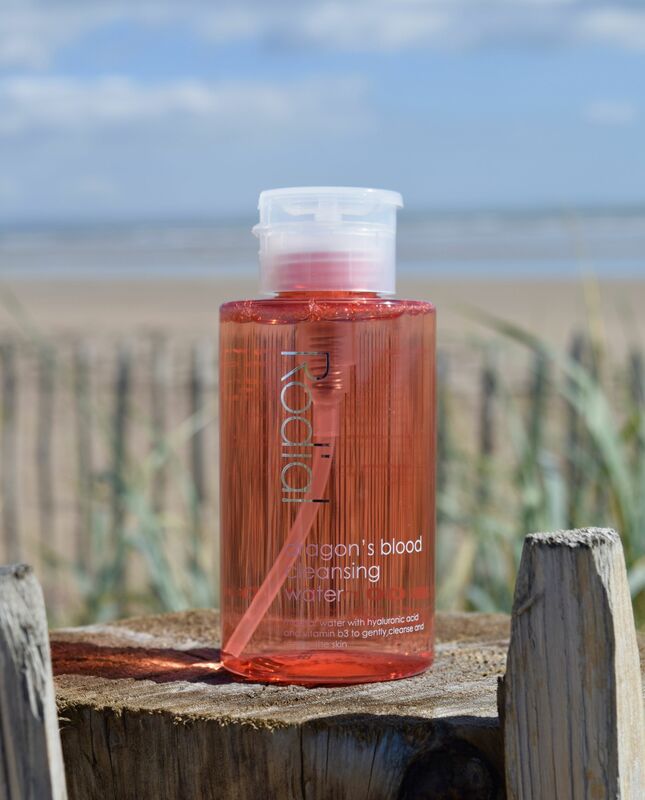 The cleansing water also contains Rose Water to soothe and refresh, and Hyaluronic Acid which keeps skin hydrated. The cleanser also works to reduce redness in skin – my number one concern and brightens skin without stinging or drying it out. After using the cleansing water, skin feels wonderfully fresh and clean without feeling stripped, and on days when I’m wearing little to no makeup, this is my sole cleanser of choice. Skin looks and feels so fresh after using the Dragon’s Blood Cleanser, and I love following it with a quick mist of this too!